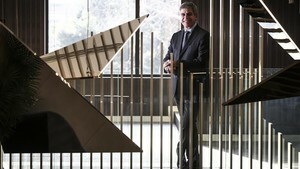 Jordi Mestre, Barcelona's vice-president, spoke to SPORT in an interview on various topics. Jordi Mestre: "Neymar jugó al gato y al ratón con nosotros"
How much money does the club spend on youth football? We are investing between 20-25 million a year. Of 23 Barca B players, only 7 have come from La Masia. Is it worth spending so much money? It's not just football, it's about values. We develop people through sport. We will keep doing it, whoever arrives in the first team. We are very proud. Is it a priority to keep Barca B in Segunda A? Why did Pep Segura take over from Robert Fernandez? Pep did not take over from Robert or do his job. He complements him, strengthens and co-ordinates the area of football. Robert's deal ends on June 30, do the board intend to renew it? It's not an urgent matter. We will talk with him calmly to take a joint decision. We don't want them to go and we work to avoid it, but we will not change because they can leave for another club. We have a sporting and economic policy for youth football. If a player wants to leave, we don't like it because we've helped develop them and get to where they are, but as Cruyff said, if someone doesn't want to stay at Barca then get out of here. A lot of others could have left, but they stayed. Alena, Sergi Samper, Sergi Roberto. If they [youth products] have patience and work as they have to work, they will reach the first team. How do you stop these exits? We can't be blind and ignore reality. Within the parametres of youth football, we will raise the salaries of players who interest us, and consequently their release clauses. That's true, yeah. We have no reasons to complain. Our youth football also takes players from other clubs. Change of tpic. How long were Barca furious about Neymar? What hurt me the most was the way it happened. We were all on tour talking with him and his father, and they were not transparent. If he came to us and said, I want to go, like Cesc, Pedro, Alexis, Mascherano did, we would have reached an agreement. What you can't do is rock the boat. Did he take the piss? He played cat and mouse with us. It arrived at a point where we saw where things were going so we told him we would not pay his contract renewal fee. He told us nothing. If he had done, PSG would have been able to buy him for less money and it would have cost us less to sign too. What Neymar's behaviour created was the market inflation. We would have saved a lot of money and a lot of media noise. Do you think he did all this to get his bonus? I'm convinced, for that I'm annoyed. Now we will go to court and the judge will decide. Why do you think Neymar acted like this? Neymar saw he would never be No 1 while Messi was at Barcelona. And evidently, there will only be one Messi. He realised to be No 1 in the world he would have to leave Barca, and it's fair enough for him to think like that. 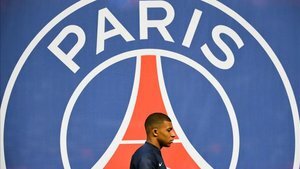 Were the club panicked when Neymar left? 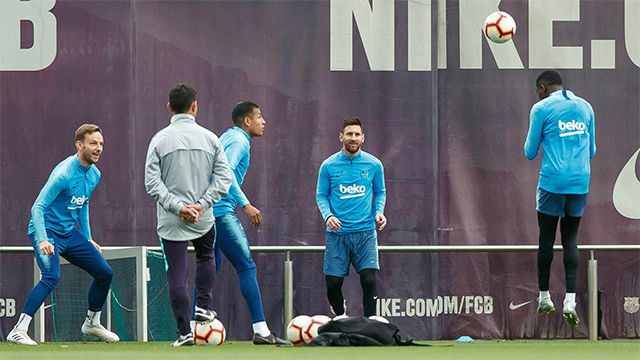 It was a little earthquake, because the trident was gone, and Valverde, who had just arrived, would be left without him. But everyone did a great job, we didn't lose our nerve or go mad. A very solid Barca. The squad was cut down as the coach wanted. From 24 players we went to 22, and we have a lot of quality, experience, talent and youth. And on top of all that, we still have Messi. 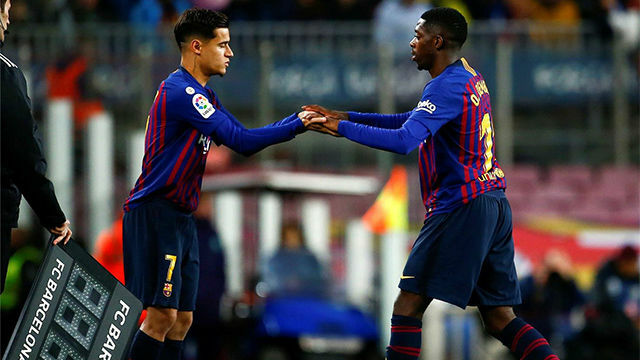 Coutinho lost money by coming to Barca? Yes, he made a big economic effort, like Mascherano and Luis Suarez in their day. This shows the desire they have to play at Barca. How much money does the club have to spend in the summer? Every year we have the same amount. 60 million plus sales. Valverde, two years and one more optional. Is he going to be renewed? Give us a break! We love him but the priority was to get to the end of the winter window. Everything will come in time. Above everything, balance. He has clear ideas, knows football and the stability of the squad. Does it worry you the salary has shot up? The salary cost is high, yes, because to have the players we have is not cheap. Our priortiy is sporting excellence and economic rigour. One brings the other. They are closely linked.